Hi guys/girls. 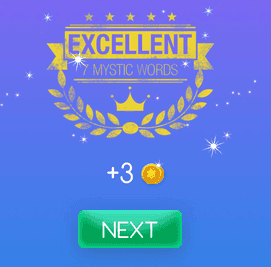 Welcome to Mystic Words Beige level 1 answers. Remember to look only the answers to the clues you are blocked. There is no fun if you see all the answers before trying to solve them first. Something that concerns 8 letters answer, click here! Ally 7 letters answer, click here! Showed a sudden anger 7 letters answer, click here! A violation to one’s sovereign 7 letters answer, click here! Greek eggplant dish 8 letters answer, click here! The one in Wonderland 5 letters answer, click here! Give out as ones portion or share 9 letters answer, click here!